When the holidays get into full swing, sometimes baking is the last thing on your mind. 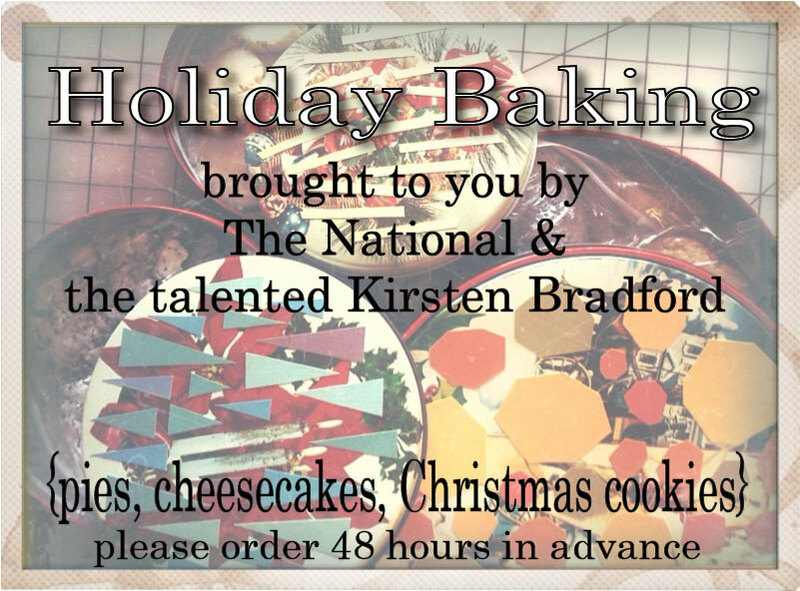 Luckily, the extremely talented Kirsten Bradford is here to exceed all your holiday baking wishes! Just order from our wide selection of delicious pies, cheesecakes and holiday cookies and pick-up your treat from The National in as little as 48 hours. We will be open on Thanksgiving Eve and Christmas Eve for your convenience.